In 1997, a woman named Emma Slade was robbed at gunpoint in her hotel room when staying in Jakarta. She was forced to the ground by the gunman with a hand pressed against her mouth and pushed to stay quiet while they took everything from her. She was a high-placed banker, a successful woman with plenty of money to her name, but the day of the robbery changed her perception of the world forever. Emma Slade journeyed to the Himalayas after the attack, and from there, she began a completely new life. 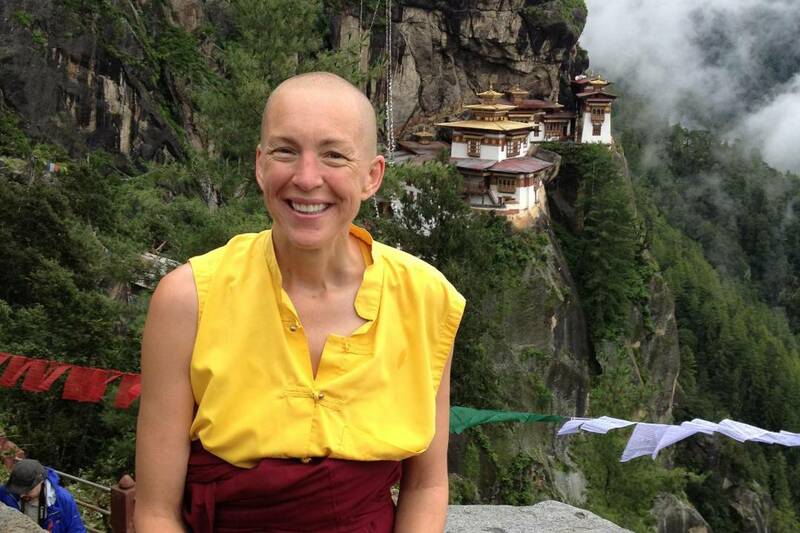 After meeting a lama – a spiritual guide – she became taken with the idea of studying Buddhism. She left behind her riches and swapped it for a life of spirituality and kindness. She runs a charity now, known as Opening Your Heart to Bhutan, and she has never returned to her life as a banker. Because she found happiness. Now, she’s offering up her knowledge so that we too can live a life of peace. So what does she claim is the key to happiness? Life is bound to give you lemons at times, but every cloud has a silver lining. After Emma Slade was attacked in Jakarta, she claimed it was her spiritual awakening, triggered by the horrifying event. She commented ‘for me, the complete loss of any control over my own life was very profound.’ From this, she gained the knowledge that even though something bad had happened to her, it led her to happiness up in the Himalayan mountains. Without the bad event, she would never have reached that point. When Emma Slade was shown a picture of her gunman, she claimed only to feel compassion for the man. Because she learned from him. She claimed that she found her peace in becoming a better person – a better person than she was before, and a better person than the gunman. She found it in herself to give in to feelings of kindness, and tolerance, and understanding. Where hate was once placed, she made room for more positive emotions. She still had most of what she had before – intelligence, academia, merit, and admiration. The difference was she also gained empathy, and human emotion, and vulnerability. She believes in making her a better person. Peace is not something you’ll uncover just by waiting for it to come your way. You have to seek it actively, Slade suggests. Her journey to the Himalayas was both a physical and an emotional one, and it led her to find her peace. Prioritise finding peace in the way you’d seek achievement, purchases or love. Don’t compromise finding your peace for anything or anyone. Meditation and mindfulness are common ways to find your inner peace, but there are other, more simple changes to your life that can also help. Slade suggests that a connection to nature may help, so getting out of the city or keeping a pet can be good for the soul. Creativity also inspires a calm state for many, so keeping a journal, painting or making music can be a way to channel peacefulness into your life. A good physical state is also important to a positive mental state, so it’s important to keep fit as well. Buddhism teaches kindness to all beings, from animals to plants and trees. Actively and consciously choosing to be a bigger person, and to have a more positive attitude, helps more than you’d think. When you are kind to someone who has just been rude to you, you’re the one who gains from it. It’s not selfish to feel pleasure from doing something good. Sometimes, you don’t get something back, and that’s okay too. Acknowledging that you’re getting better as a person is a good place to begin. 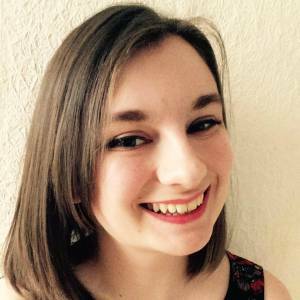 About the Author: Hayley Anderton is a Creative Writing graduate from Liverpool. She’s a freelance writer and the self-published novelist of the LGBT YA book, Double Bluff. She doesn’t go anywhere without a notepad and has been writing ever since she can remember. Her other interests include baking, talking about politics and feminism, and snuggling up with her cat. She has dreams of traveling the world with her best friends, and of being a well-known author someday. Hayley Anderton is a Creative Writing graduate from Liverpool. She’s a freelance writer and the self-published novelist of the LGBT YA book, Double Bluff. She doesn’t go anywhere without a notepad and has been writing ever since she can remember. Her other interests include baking, talking about politics and feminism, and snuggling up with her cat. She has dreams of traveling the world with her best friends, and of being a well-known author someday.